I won't lie...I feel that the past few weeks have been ROUGH. I've had the stomach bug twice. Chuck has been sick. Bella's reflux has been out of control. Ethan is a sensitive teenager. The list goes on...but you can't dwell on that stuff. 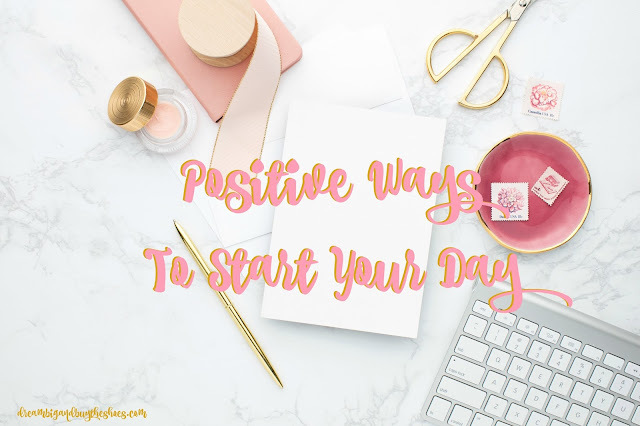 I try to start out the hectic mornings on a good note and in a positive way. Listen to some good music while you get ready. - my fave: Stevie Nicks! -anything with banana is a win in my book! Remind yourself of one thing you're thankful for today. - life, I'm thankful for life! Wear your favorite lipstick- even if it's out of season. - Candy Yum Yum is always my pick me up. Text a friend and tell them to have a good day. Call a loved one on your way to work. Jot down something new to do this weekend. -I want to take Bella to Barnes & Noble for a story time. Watch a few minutes of a great show before you start your day. - Saved By The Bell is always a good option. Hope you have a great Monday and an even better week friends. What's something you do to start your day off great? !